When one thinks of museums that have significant collections of modern design, one inevitably thinks of The Museum of Modern Art, New York; the Cooper Hewitt in New York; or the Wolfsonian in Florida. 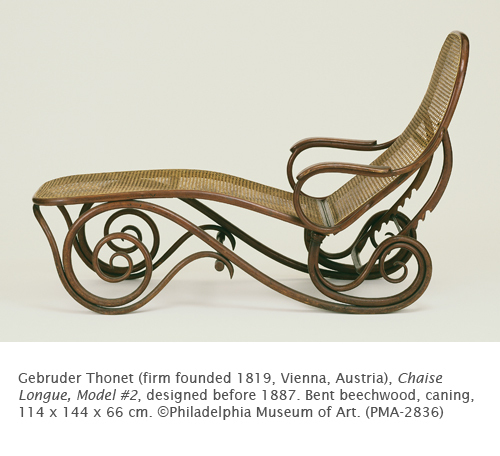 One of the things that constantly amazes me, and causes me to appreciate new design, is the Philadelphia Museum of Art’s dedication to acquiring objects of modern design. We acquired this image a couple of years ago, and every time I look it, I want to go out and buy one! 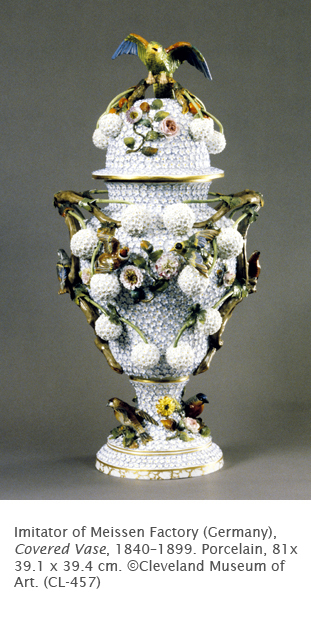 It is absolutely such a gorgeous piece, and one appreciates that beauty even more when one realizes the fantastic technology (I don’t completely understand, come on, I’m an art historian!) that helped create it. 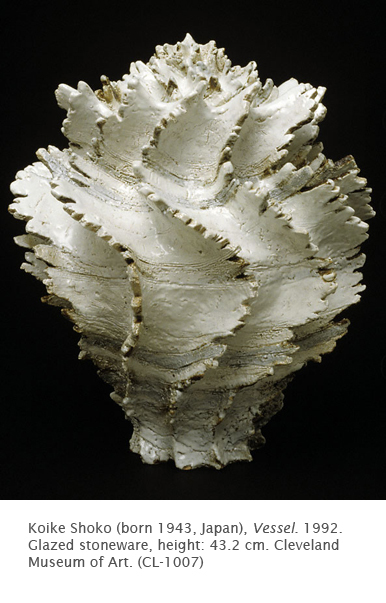 Forms from nature have traditionally served as inspiration for the designers of ceramics, furniture, lighting, and other types of utilitarian objects. Never before, however, did the organic world meet 21st century technology as in the works by the design firm Materialise in France. 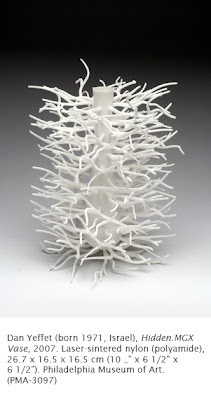 They have a group of brilliant artists who create works that reflect a modern aesthetic crossed with organic forms, and are designed to be produced by computer. The system called RM (rapid manufacturing) uses a computer aided design as its starting point, and creates the object in three dimensions from a variety of materials (in this case nylon). 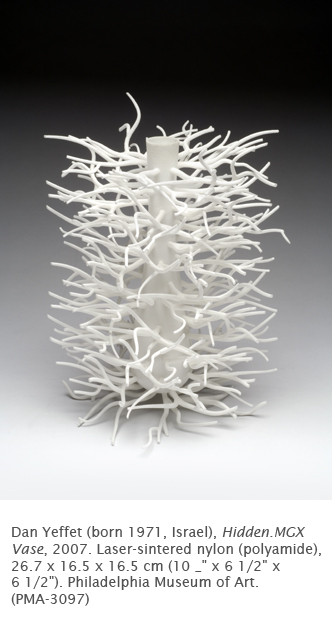 Dan Yeffet’s pieces are elegant works based on forms in nature. He was born in Israel and currently works in Paris. He studied in Jerusalem and Amsterdam, where he started a studio called JellyLab, which he relocated to Paris. While designing everything from lighting to interiors, his firm currently specializes in textiles and art installations. 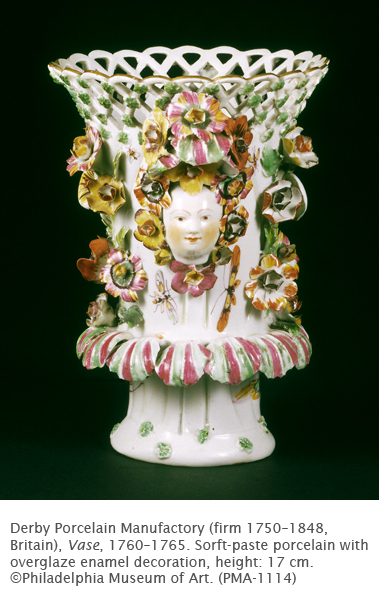 Although Yeffet’s bud vase is decidedly modern in conception, it totally recalls the aesthetic seen in some Art Nouveau objects of the early 20th century.